This program generally takes 3-4 months depending on the trainee. We strongly feel that it is important to customize the program to the individual dog, not mold the dog to our program. Each dog learns at its individual pace as well as responding to different training techniques. Owners of the dog entering this program will discuss with the trainer what type of hunting they will mainly be doing (waterfowl or upland). It is a mistake by the trainer to assume that all retrievers will be primarily waterfowl dogs with a little upland hunting on the side. We have had many clients solely hunt upland birds with their retrievers. *Rate: $700 per month. Included in this (Premium food (Purina Pro Plan), boarding, birds (pigeon, chukar, quail, ducks, pheasants). Not included in this is veterinary expenses. Dogs completing this program with waterfowl emphasis will be expected to heel off leash, be steady in the blind, retrieve only when sent, retrieve through decoys, retrieve to hand, perform simple doubles, will quarter, flush and retrieve shot birds to hand. 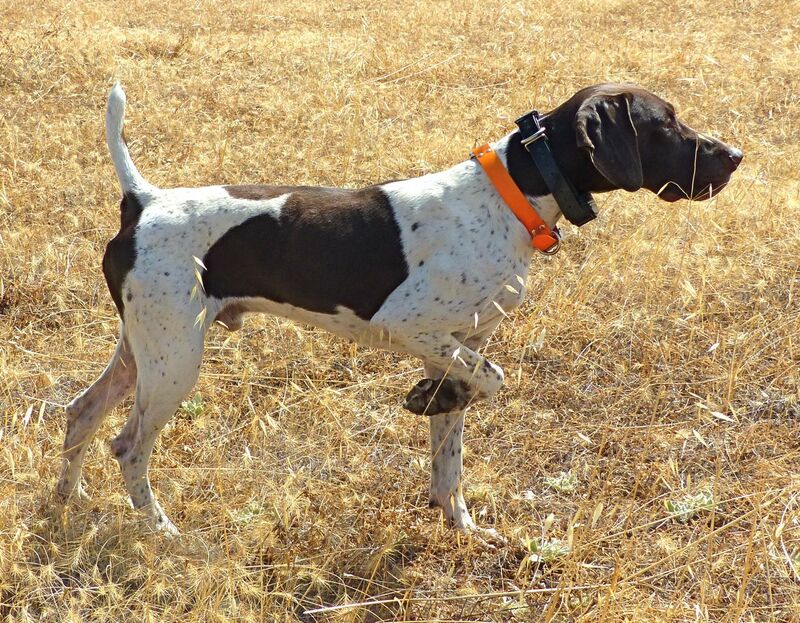 Dogs that will be hunted on upland birds only will be expected to heel off leash, quarter the field, sit after the flush with whistle command, remain steady to flush and shot and retrieve to hand.